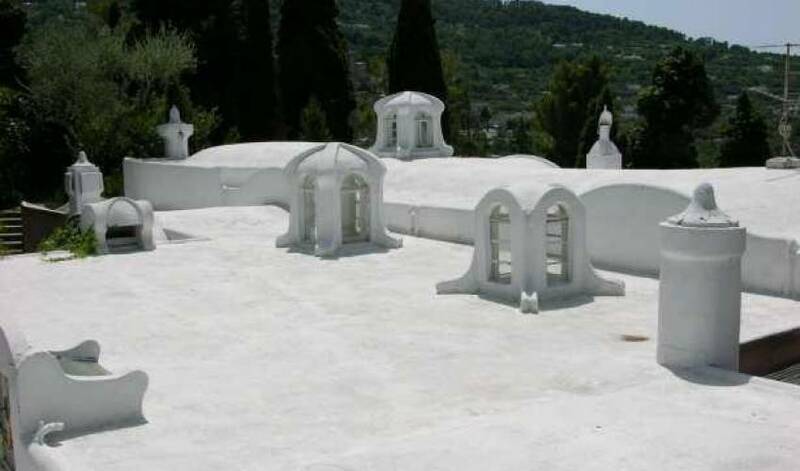 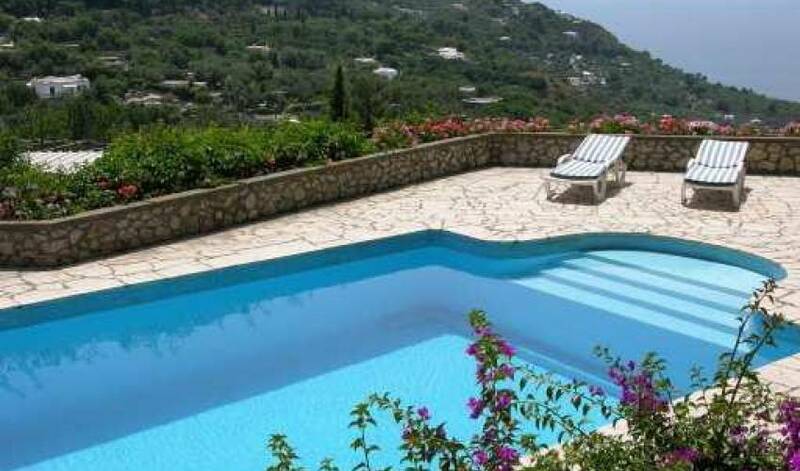 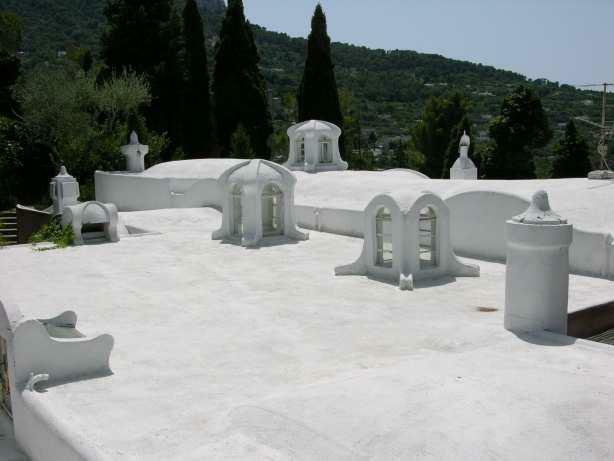 Villa 975 is in Anacapri, on the western part of the Capri island. 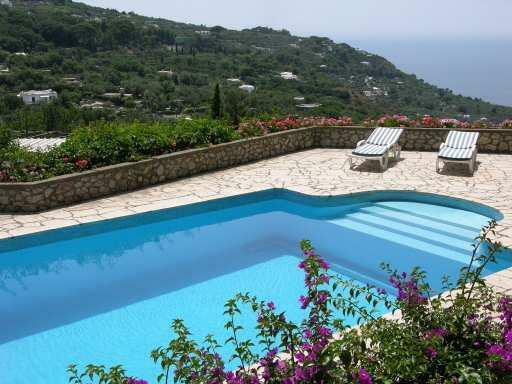 The shopping centre of Anacapri is reachable at a few minutes walking. 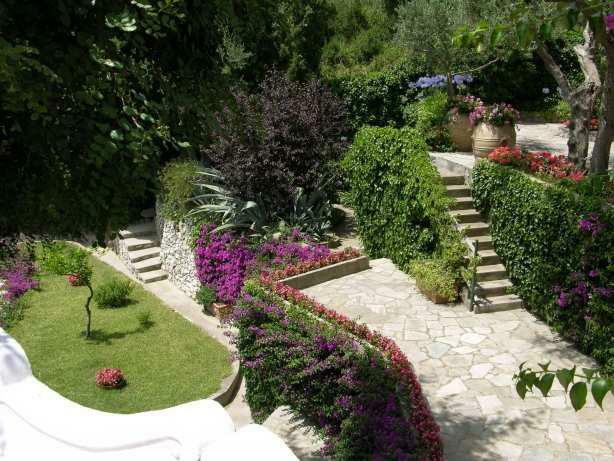 The Villa is based on three levels inside a precious garden of Mediterranean vegetation. 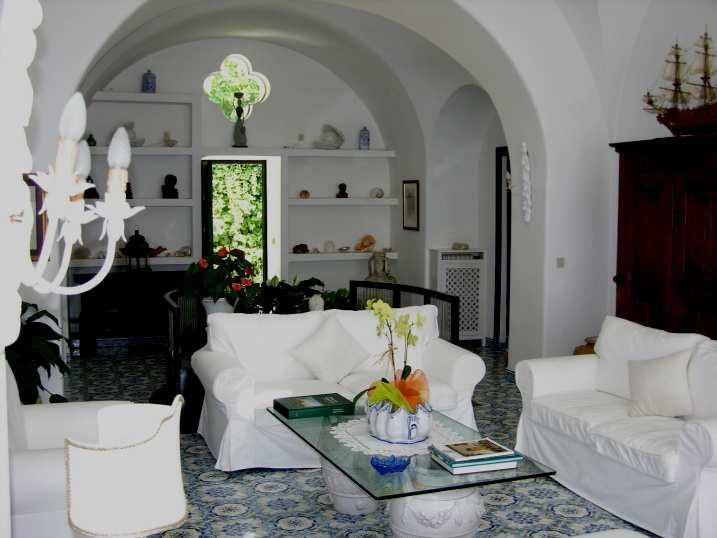 It was built at the early ‘900 from the Baroness Gallotta, famous on the island and in Naples for her embroideries. 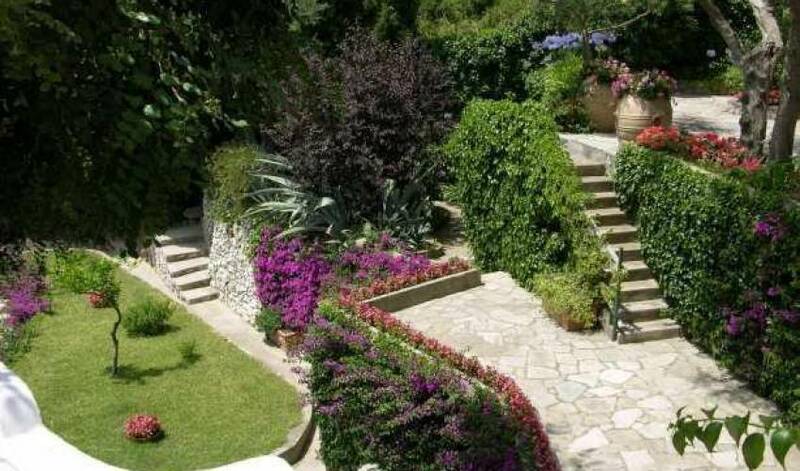 Terraces with lounge corners. 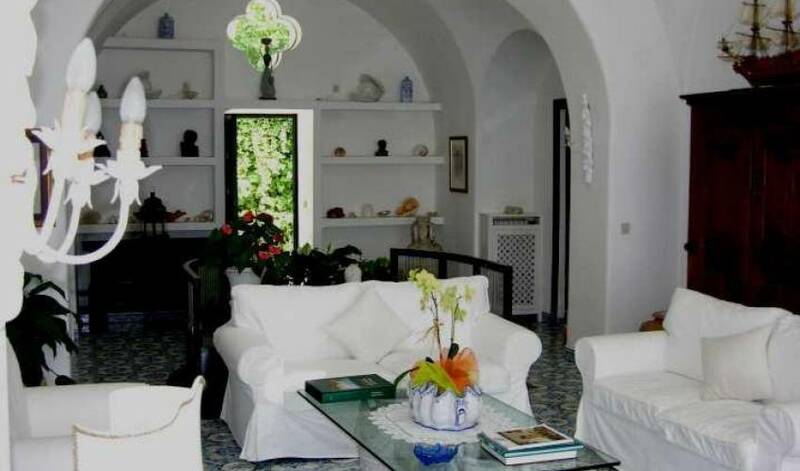 Inside: big living room with antique furniture in the traditional Mediterranean style and with a large library, huge kitchen covered with traditional Neapolitan tails facing a very comfortable terrace. 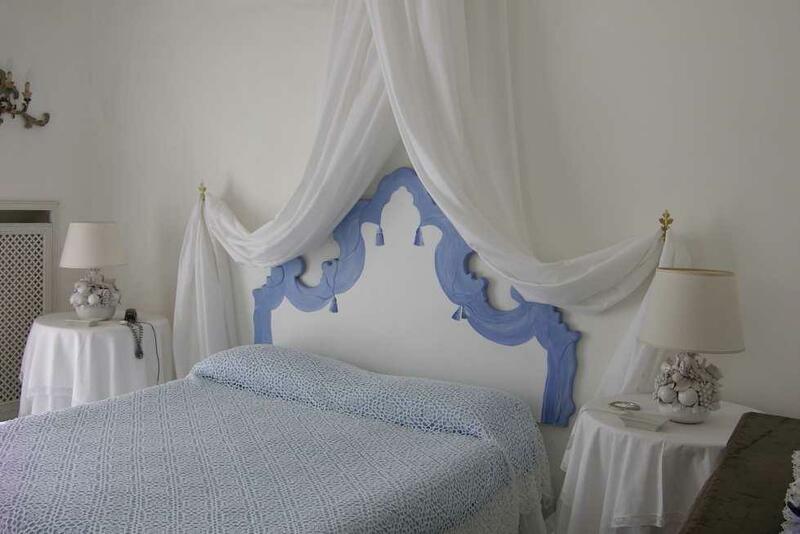 Master bedroom with en suite bath, two double bedrooms with en suite bathrooms. 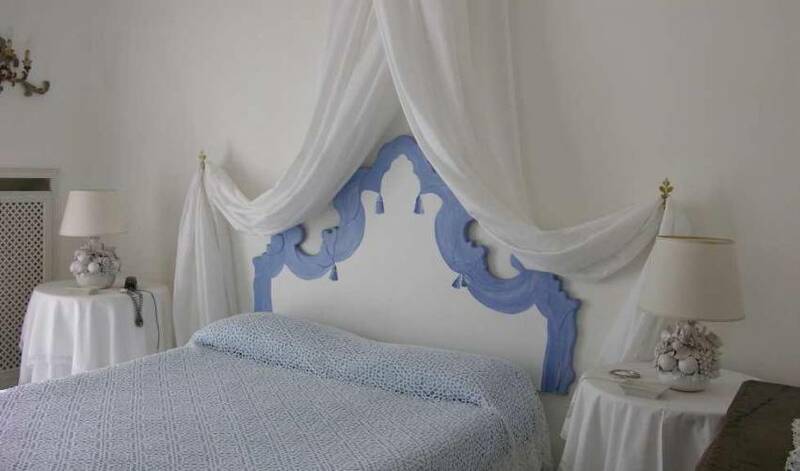 All the rooms have a sea view. 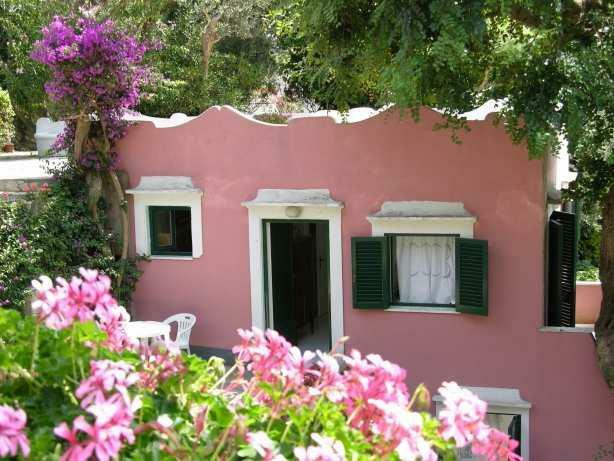 Two more double rooms with en suite bathrooms decorated with trompe l'oeil, face a big terrace of bougainvilleas. 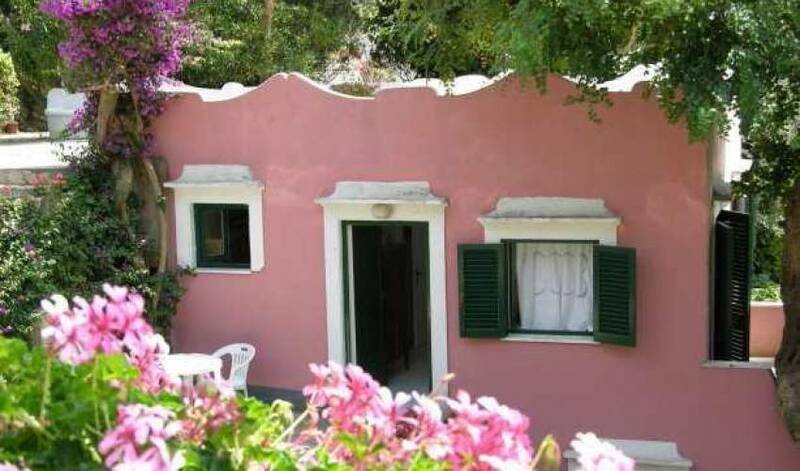 Main garden with wonderful flowers and plants and a swimming pool equipped by chairs; barbeque and a pizza oven are at the guests' disposal during the week.